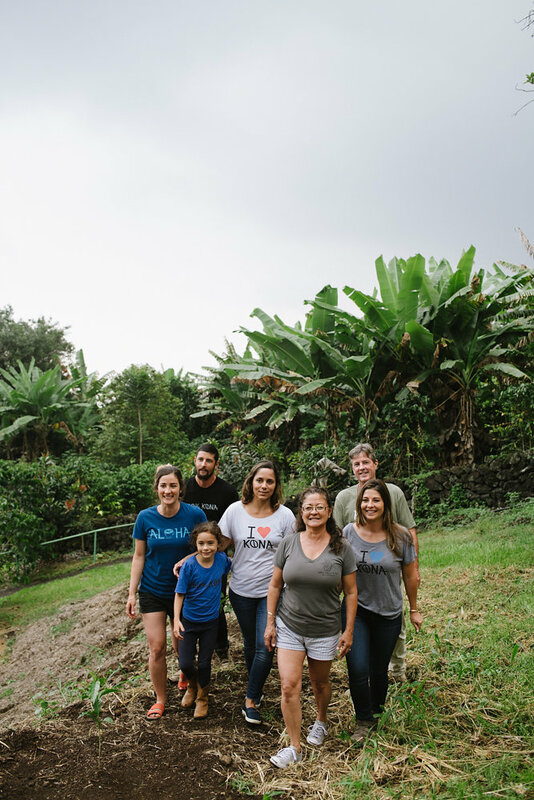 The family behind Kona Coffee & Tea is on the fall cover of edible Hawaiian Islands, a quarterly magazine that shares the stories of people who are growing, farming, ranching, fishing, and cooking our food in Hawaii. Malia gives us an behind the scenes look at how the cover came to be. Twenty years ago, my parents decided, on a wing and a prayer, to plant coffee seeds and see what happened next. 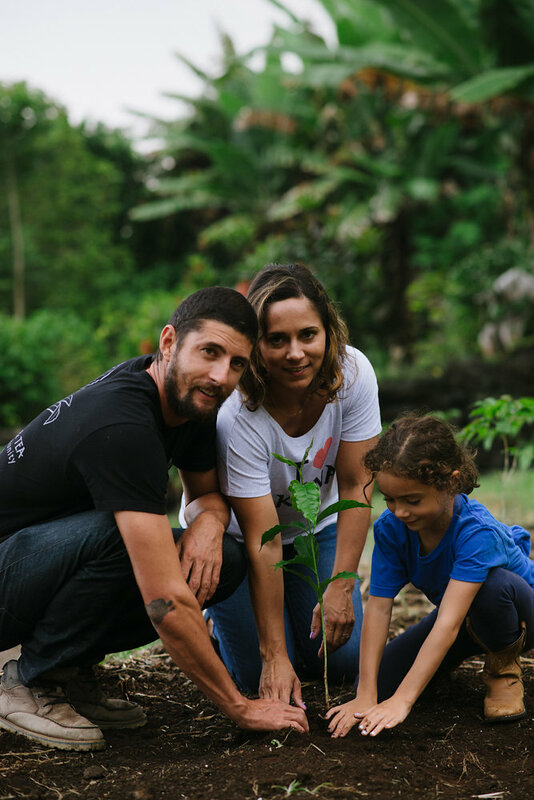 Well, there must have been a divine intervention because once the coffee seeds grew into a mature coffee trees and we were able to pick them, we had a winner on our hands…quite literally! We entered the coffee into a contest and WON!! From there we knew where our future was headed. This being our 20th Anniversary marks a milestone for us as a business in Hawaii. We are one of many coffee farmers in our community but are unique in the sense that we are also one of the very few who have created a vertically integrated, family-owned and operated local business which grows, mills, roasts, packages and sells our product – be it in bags or cups of brewed coffee - in a brick and mortar storefront. We hope to be notable ambassadors for the unique, specialty product that is Kona Coffee as we strive to serve each of our guests with Aloha and share the story of “100% Kona” (our company’s slogan). We also wanted to create a place for the community to gather. Thankfully, we have been told that we have achieved all the above. The cover of the fall edible Hawaii Islands magazine is a story in itself…The shoot took place a few days before Hurricane Hector was set to arrive which made it a hot and muggy day. And then trying to corral my family to be in one place at one time is like herding cats! My sister lives out of state, so it was really a treat to have her be part of this celebration. And then you have the fact that most of them are shy and don’t like being photographed. But photographers Jasmine and Blake Wisz were great at making everyone feel comfortable and that’s what comes across in this cover photo. As a family, we want to express our deep love, respect, and gratitude for our community and are so appreciative to call Kona “home”. Mahalo to Blake Wisz for the photos. I was born and raised here in Kona. I guess you could say that the coffee trees and I grew up together on my family’s farm. While in High School, I helped plant our first coffee (with a fair bit of complaining). I came home from college during summers to work as a barista at our first café. For the over a decade now, I’ve managed our Farm to Cup operation here in Kona. I feel honored to play a role in cultivating a community around Kona coffee and hope you can taste the Aloha in every sip. Mahalo for signing up for updates from Kona Coffee & Tea. Aloha!